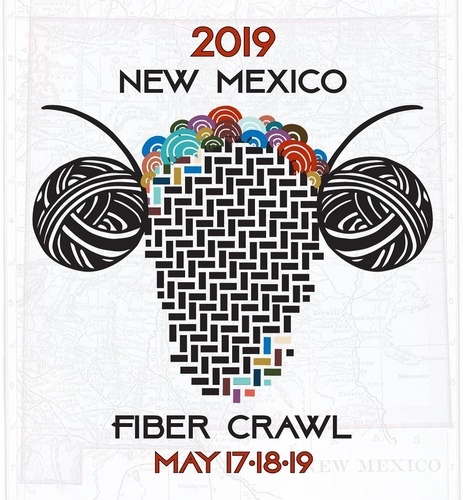 Join in our three-day 2019 New Mexico Fiber Crawl, May 17, 18, 19, 2019, to celebrate New Mexico’s rich fiber arts heritage and the people who make wonderful fiber creations. The Crawl is an opportunity to explore fiber studios and farms, experience fiber demonstrations, attend special gallery and museum events, win prizes, and visit fiber arts shops. Whether you are a fiber enthusiast, a visitor, a friend or a collector, the Fiber Crawl is a great way to discover and enjoy the world of fiber arts in Northern New Mexico. You’ll meet the weavers, knitters, spinners, felters, embroiderers and new media artists who are sharing their love of the fiber arts at this event. Plus, you’ll have a great time! Visit NMFiberCrawl.org to plan your crawl! A three-day event from Taos to Albuquerque.